The Home Inspector Training Academy is currently holding classes at our Arlington, Virginia campus. Our 72 hour course has been approved by the VA DPOR and MD DLLR. IMPORTANT: When you arrive you will see two buildings. One is an old stone mansion. The other looks like a modern brick school. 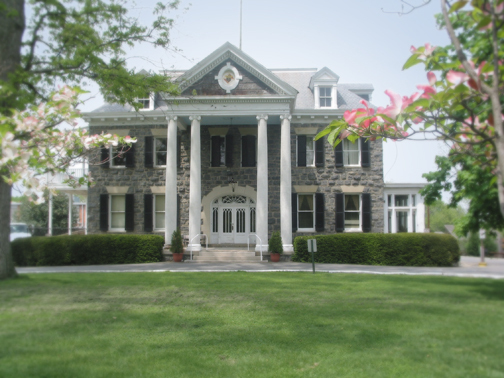 Park in the lower parking lot; walk past the brick building and enter the front door of the stone mansion. The class meets in the room at the top of the stairs. Merge onto US-50 E/ ARLINGTON BLVD toward I-495 N.
Turn LEFT onto ANNANDALE RD/ VA-649. Continue to follow ANNANDALE RD. Turn RIGHT onto S WASHINGTON ST/ US-29/ VA-237. Continue to follow US-29 N.
Turn LEFT onto N SYCAMORE ST.
N SYCAMORE ST becomes WILLIAMSBURG BLVD. Turn RIGHT onto LITTLE FALLS RD. Stay STRAIGHT to go onto YORKTOWN BLVD. Turn LEFT onto LITTLE FALLS RD. From Metro Center, take the Blue Line to the East Falls Church station. Students are responsible for their transportation from the metro station to the school building. Cab service is available, and students are often able to network with classmates to arrange carpooling.